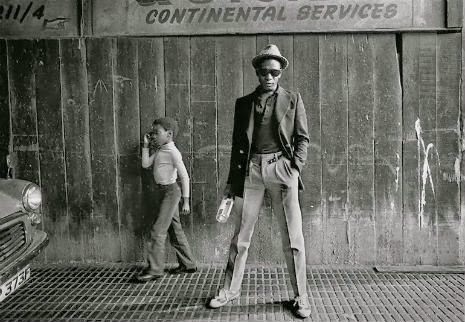 Trojan Records to Release Record Store Day 2015 Compilation: "Rude Boy Rumble"
At the moment details are few, but it appears that Trojan Records will be releasing a 60s ska/reggae compilation with cuts from Desmond Dekker and The Aces, The Upsetters, and the like for Record Store Day 2015. Titled Rude Boy Rumble, this 12-track LP will feature cuts chosen by Tom "Papa" Ray AKA The Soul Selector (he's also the owner of Vintage Vinyl in St. Louis, MO). Madness To Release Single for Record Store Day 2015: "Lovestruck" b/w "Le Grand Pantalon"
For this year's Record Store Day (Saturday, April 18, 2015), there will be another notable ska offering--coming on the heel's of last year's unexpected Specials RSD release and the inclusion of The Untouchables' "(I Spy for The) FBI" and Desmond Dekker "Israelites" vinyl singles in the Ten Big Stiffs box set issued on the 201 Black Friday Record Store Day. 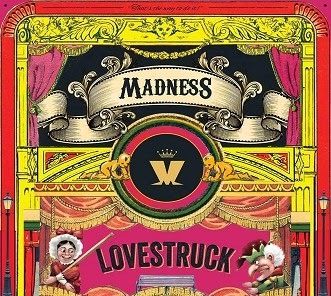 Madness will be releasing two songs on vinyl: "Lovestruck" (from 1999's Wonderful) b/w "Le Grand Pantalon" (a fantastic, reflective version of "Baggy Trousers" that was used in a 2011 Kronenbourg 1664 beer ad and was included on the 2013 A Guided Tour of Madness box set). Neither track has been available on vinyl before. This release also boasts a 3D Punch and Judy-type "Lovestruck" Toy Theatre that includes Madness-related items and characters, including pith-helmeted British soldiers from "Night Boat to Cairo," bottles of Madness Brewing Company beer (yes, there is Madness beer available in Europe; one of the varieties--in a nice bit of brand synergy--is an amber ale called "Lovestruck"), and a roller coaster (a reference to "House of Fun," of course). 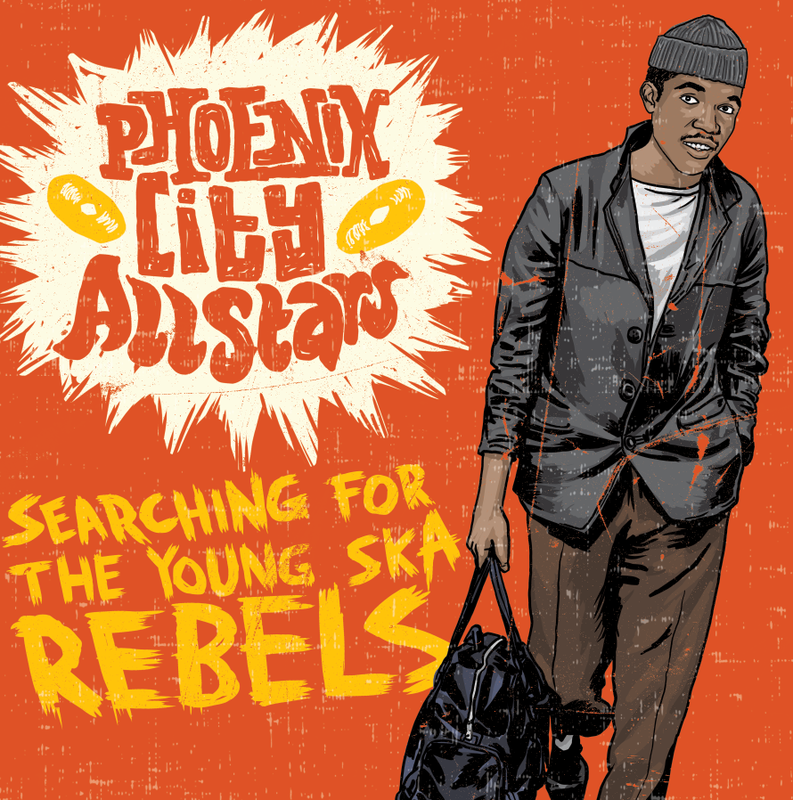 There are a crazy number of really promising ska and reggae records dropping in the near future (The Skints, Tokyo Ska Paradise Orchestra, Phoenix City All-stars, Bionic Rats, and The Selecter), making my list of albums to review longer and longer (particularly since I have a backlog of releases to review from the Reggay Lords, Hub City Stompers, The Bishops, The Copacetics, The New Limits, and others)! My "burden" grows heavier with the new double-LP (at 45 RPMs!) 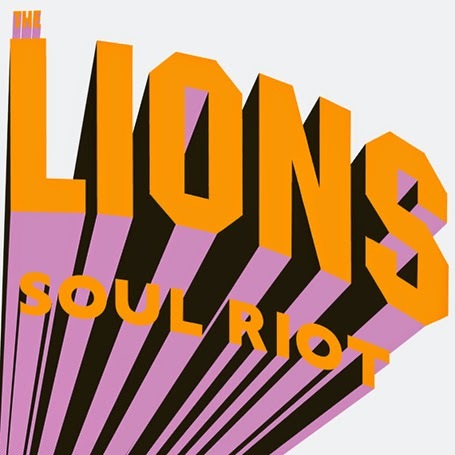 from LA ska/reggae supergroup The Lions, who are releasing Soul Riot tomorrow on Stones Throw (check out samples of the album here). 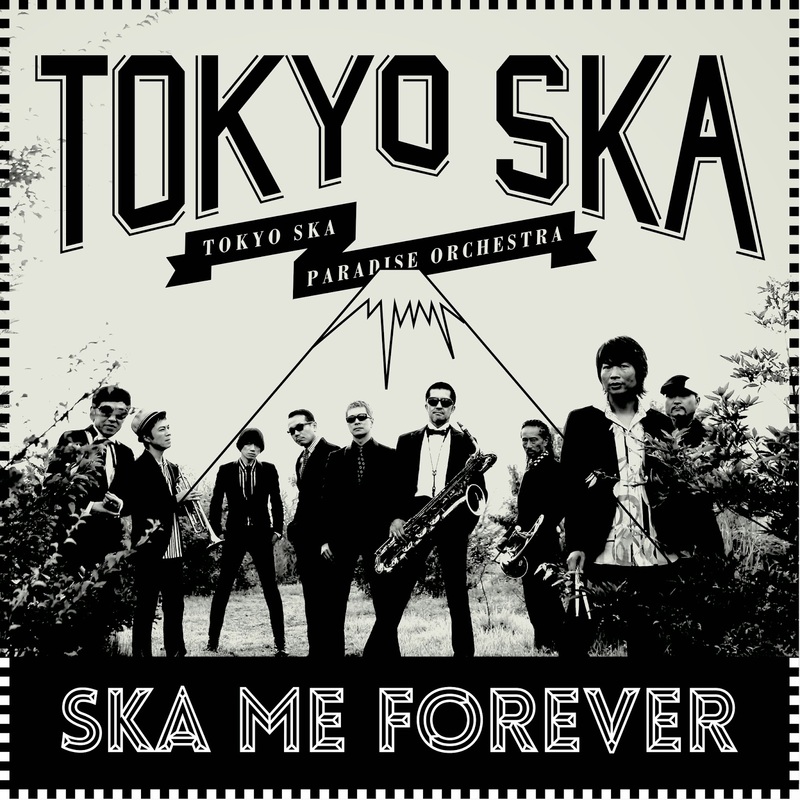 Ska fans will be interested to know that members of The Lions include Deston Berry and Alex Désert of Hepcat, Malik Moore of The Bullets and Ocean 11, and Black Shakespeare (cousin of Robbie Shakespeare of Sly and Robbie). Can't wait to review this--and all the other releases from bands listed above--in the near future. 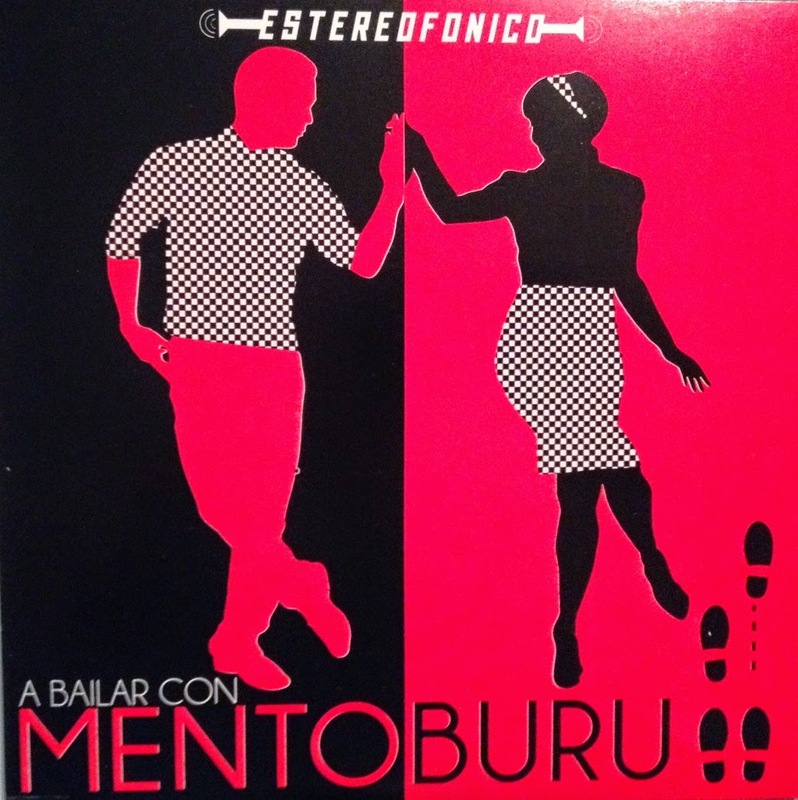 A Bailar con Mento Buru (translation: A Dance with Mento Buru) features two nicely re-worked covers of classic tracks from different cultures and times: Mexican composer/singer Alvaro Carillo's 1959 bolero smash hit "Sabor a mi" (which has been covered dozens of times by such artists as Eydie Gorme and Trio Los Panchos, EXO-K, and Los Lobos) and Dandy Livingstone's beloved 1967 rocksteady tune "Rudy, Un Mensaje Para Vos" ("A Message to You, Rudy," which, of course, was revived by The Specials in 1979 for the 2 Tone era and beyond). I have to cop to being completely unfamiliar with Carillo's "Sabor a mi" ("A Taste of Me"), but after checking out several versions of it by a host of different artists, I completely get why this is a perennial favorite--it's a fantastic, evocative, and bittersweet pop love song. Mento Buru's version winning and sublime (see the video of them performing this song live below). On the flip side, "Rudy, Un Mensaje Para Vos" becomes something of a rocksteady/cumbia hybrid, sung with all-out glee in both Spanish and English (it's less of a warning to mend one's ways and more of an anthemic celebration of rude boy/girl culture), and Mento Buru do this song proud. Preview "This Town" Off The Skints New Album "FM"! If you're like me and have come across many people online raving about The Skints, but haven't really checked them out--well, now's the time to pay them proper attention! The Skints' new album FM (their third) was produced by the incredibly gifted Prince Fatty and is slated to be released in the USA on March 9, 2015 from Easy Star Records on vinyl, CD, and digital download. "This Town," featuring Tippa Irie and Horseman, is the first previewed track off FM and is a fantastic 80s Saxon-style dancehall tribute to their hometown of London. Word from The Skints' camp is that the band's first tour of America is scheduled for this coming May! Watch this space for details! 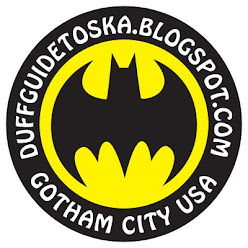 Update (2/7/15): The video for "This Town" has just been released and can be watched at New Noise Magazine.